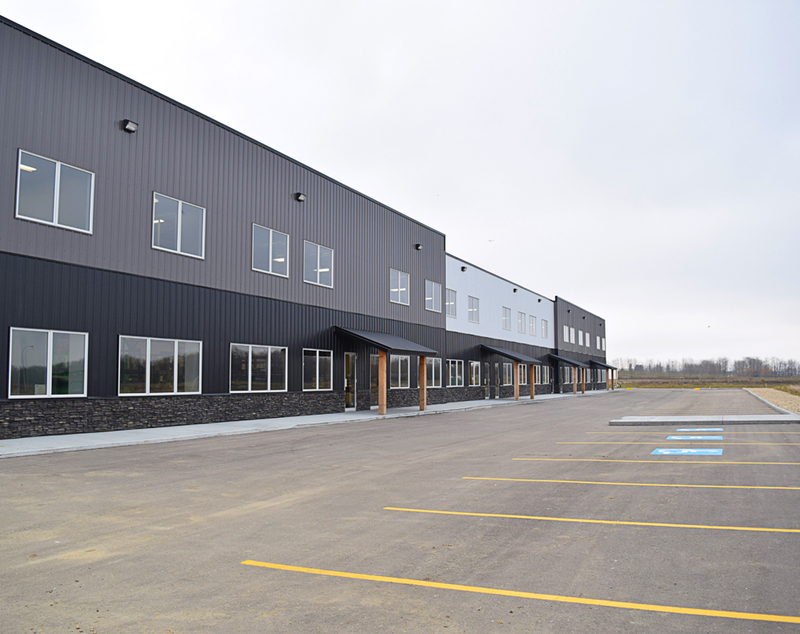 Energy Industrial Park Project Overview | Indevelopments Corp.
Energy Industrial Park is a brand new 34 unit, 2 building industrial condominium complex that has now completed Phase 1 of construction. Located in the county of Red Deer, the heart of Alberta, situated directly off the Queen Elizabeth Highway which realizes some of the highest traffic counts in the country. Right off Gasoline Alley, Energy Industrial Park is surrounded by a growing manufacturing industry, strong retail & wholesale services, agriculture, tourism, oil & petrochemical industries which ensure a diversified economy.